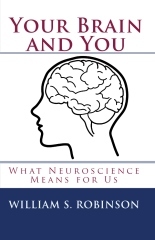 One question I’ve thought about, without much success, is what exactly is different about our neural firings when we have different sensations. Imagine, for example, looking at a ripe, red tomato on a white tablecloth. Now imagine everything the same, except that you’ve replaced the tomato with an unripe green one of the same size. It’s a sure bet that something different is happening in the back of your head that’s different in these two cases. We know some parts of the story about this kind of difference, but it would be nice to have a full and detailed accounting. I thought I might get some enlightenment about this question by looking up what’s known about tastes. I suspected that this might be a somewhat simpler case, because I knew that despite the complexity of the lovely tastes that emerge from my wife’s exquisite cooking, they are all combinations of just five basic tastes – sweet, salty, sour, bitter, and umami. Or, then again, maybe not. The article that causes my doubts was published by David V. Smith and colleagues in 2000, but I was unaware of it until recently. The Wikipedia entry for “Taste” is organized around the above five “basic” tastes, so perhaps others have also missed this article. The key problem about taste arises from the fact that taste buds are generally sensitive to many different chemicals. They differ in the degree to which different substances will raise their activation, but they will show some amount of increased activation for many different components of the foods we eat. This fact supports the view that the cause of a taste is a set of relative degrees of activation across many taste buds. Moreover, we cannot think of each taste bud as devoted to one of the five tastes, and the pattern of relative degrees of activation as a pattern of five kinds of response. Instead, there is a pattern of greater and lesser activations of cells, each of which responds in one degree or another to many kinds of inputs. A natural question is how the five-basic-taste theory has seemed so good for so long. According to Smith and colleagues, the answer lies in a certain methodological practice. This method involves identifying different kinds of taste buds by their “best response”. That means, for example, that a cell will be classified as a “sweet” cell if its activation is raised more by glucose than by other inputs such as salt or quinine. Such classifications tend to obscure the point that a so-called “sweet” cell will also be activated by things that aren’t sweet. They may be highly activated by other substances, just not as much so as by glucose. An even more important point is that the results of this method depend on one’s choice of substances used in comparing relative activations. Smith and colleagues identify another set of chemicals that are quite different from the usual ones, but that, using the same methodology, would give a different set of “basic” tastes. This result casts doubt on the utility of the “best response” methodology for identifying basic tastes. More generally, it suggests, at least to me, that the story about the neural activations that underlie the differences among our sensations will turn out to be very complex, and will involve patterns of activity across a large number of neural cells. This entry was posted on Monday, March 26th, 2012 at 10:49 am and is filed under Sensations. You can follow any responses to this entry through the RSS 2.0 feed. You can leave a response, or trackback from your own site.